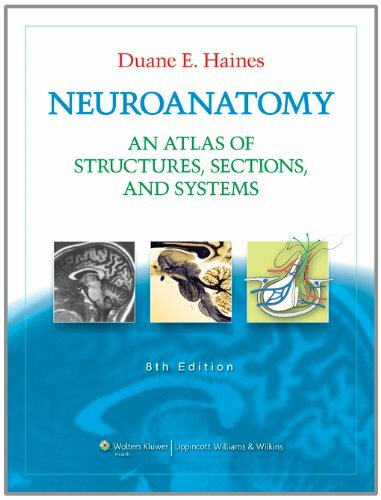 Neuroanatomy: An Atlas of Structures, Sections, and Systems remains one of the most dynamic forces in medical education, delivering abundantly illustrated and clinically essential content in a rapidly expanding field of practice. Now in its Eighth Edition, this atlas continues to build upon its reputation as a premiere teaching resource, combining the best of both worlds—anatomical and clinical. New features include: even more clinical imaging and relevance, with 15 new CTs/MRIs and 25 new illustrations with nerves highlighted; new features that promote the understanding of neurobiology, including circuit drawings, 2-page spread summarizing hypothalmus, 2-page spread summarizing connections, and summaries added to Anatomical Orientation images; 50 USMLE-style review questions with extensive explanations and bonus Interactive Question Bank online, for a total of 235 Q&As offering self-paced review and exam preparation; 32 stained section photographs in Chapter 6, now printed in their original, accurate color, replacing the previous black and white versions.